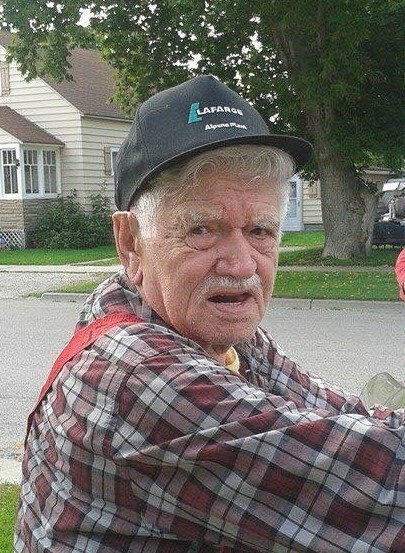 Lyle Keith Copeland, 87, formerly of Alpena passed away Tuesday, October 16, 2018 at Kansas City North Hospice in Kansas City Missouri. Lyle was born May 13, 1931, in Ubly, Michigan to the late Vernon and Beulah (Reynolds) Copeland. He married Eleanor Standen in 1953 and she preceded him in death on June 24, 1963. He later married Mable Nolan on February 15, 1964. She preceded him in death on January 26, 1997. Surviving sibling Vern Copeland of California. Lyle retired in 2006 from Triple-R Trucking. He enjoyed the great outdoors hunting moose and fishing in Canada. Surviving are his five children, Ken (Reva) Copeland, Vernon Copeland, Constance Nolan, Joan (Lorne) Tangie, Sherri (George Hookimaw) Black; 14 grandchildren; 25 great grandchildren; 8 great-great grandchildren. Mr. Copeland was preceded in death by his son, Lyle Jr.; and brother, Kenneth Copeland. Visitation will take place Sunday at Bannan Funeral Home from 2-8 p.m. and continue there Monday from 10 a.m. until the funeral service at 11 a.m. with Pastor Paul Frey officiating.